A stone’s throw away from #188 is Hume Street, now known as Jalan Mesjid. Along this short but interesting street, one can find many traditional trades co- existing harmoniously with modern ones. 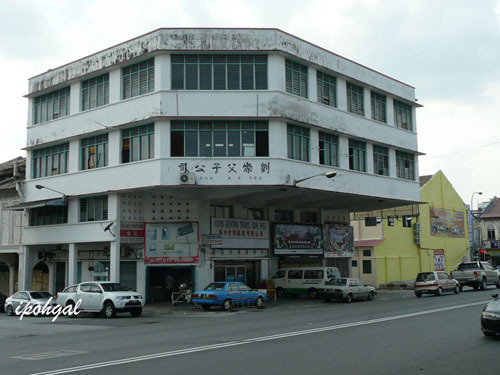 Let’s start with this building at the junction of Hume Street “ 谦街 ” and Jalan Yang Kalsom. This building once housed the Century Omnibus Station (百年车站). It was there for many decades. Their red coloured rickety buses plied from town to Taman Chempaka, Ampang, Chemor, Tanjung Rambutan and the Race Course along Tambun Road. Back in the 60s and 70s, this was a bustling place, along with some taxis in front. There were rows of long wooden benches outside. A jukebox in the coffee shop next to the bus station always blasted out English songs which my mom loved although she did not understand a word of English. The most memorable ones were those favorite songs sung by Elvis, Beatles, Bee Gees, Osmond Brothers, Jackson Five, etc. One night in the early 80s, a big fire gutted the station and a few buses were destroyed. Many people came out to watch the fire and even the FRU were called in to control the swelling crowd. Those staying in the vicinity were worried that the fire might spread because of the electrical wires linking the bus station to the row of shops opposite. Luckily that did not happen and the fire was eventually brought down. A few years later, the bus station closed down and today, this place is taken over by travel agencies and a locksmith. A few steps away, one can see many shops dealing in various traditional trades like making paper offerings, lorry tarpaulins, sofa covers, curtains, car upholsteries, tailoring, hair dressing and motor workshops. Just opposite were some funeral parlours with convalescent homes on the upper floors and of course, a few shops selling coffins. Further down is the iconic Rex Cinema which faces Brewster Road. In its heyday, this cinema was filled to the brim with patrons watching mainly Cantonese movies. You could find stalls selling sugar cane juice, yellow steamed peanuts, kacang putih and even plastic toys outside. 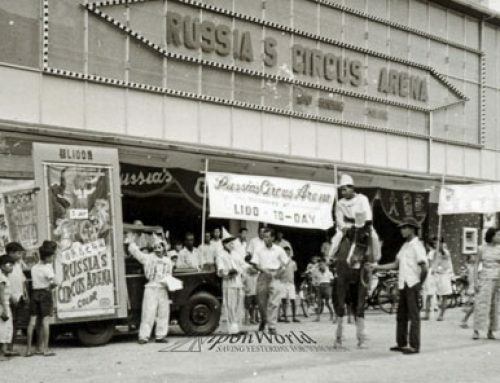 Inside the cinema, there were stalls selling light snacks like sweets, chewing gum, sour plums, salted groundnuts, dried red ginger and prawn crackers. Today, this place is occupied by a furniture shop and a car park. The stone benches in front are not there anymore. Dad and I would sit there to eat “kuaci” or melon seeds, yellow steamed peanuts and “lin toong” or seeds of the lotus plants after a movie. Across from the cinema you will find some coffee shops, clan associations, mahjong parlors, a pet shop, an optical shop and one that makes car plates and rubber stamps. 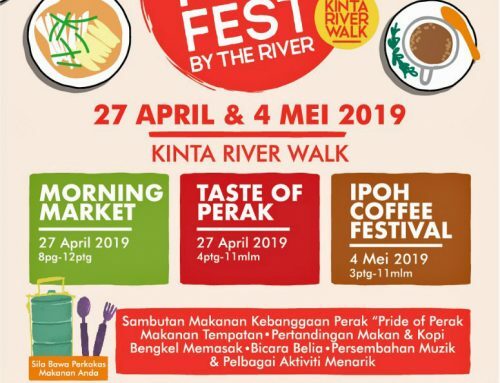 You will also find the Kinta Small Traders Association here. At the isolated end of this street is the Panglima Kinta Mosque near the Kinta River bank, the oldest in Ipoh. Unfolding the panoramic Hume Street brought back some fond memories. When I was about 5 or 6, some nights after my eldest siblings were asleep, the owl in me would pester my dad to take me out for walks around the neighborhood. Dad called it “jalan jalan” or “sau kai” in Cantonese. First, he took me to Jubilee Park for a ride on the musical carousel and the breathtaking giant wheel. After that, we will head straight to Hume Street for a light supper at the “luk luk” stall in front of the shop next to the coffee shop in brown paint. I usually chose a few sticks of fish balls and squid and dipped them into the boiling water. Next, I would apply some red colored sweet sauce or “tim cheong” on them before eating. Hmm, yummy, yummy! After that, it was time to go home when we had had enough. Many shops along Hume Street were already closed by then, so was the bus station. We quickened our steps as the place was dark and quiet. If we were out too late, Mom would scold us because she believed some malicious spirits were lurking at the corners along this street and these would make children fall sick! Note : Special thanks to Aaron Ong who kindly took these photos and shared them with us here. Hi mashi74, thanks for pointing that Rex Cinema faces Chamberlain Road instead of Brewster Road. But it’s side definately faces Hume Street, right? 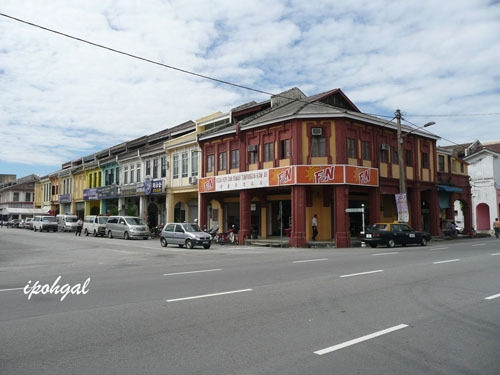 Hume Street is a place with many traditional trades and I think should be declared a heritage street in Ipoh. It is full of characters. A walk down this street will bring back many memories, especially for those who grew up on this street and it’s vicinity. I never fail to come back and have a look everytime I am back in Ipoh. Not much has changed since my childhood days in the 70s. It is still charming. 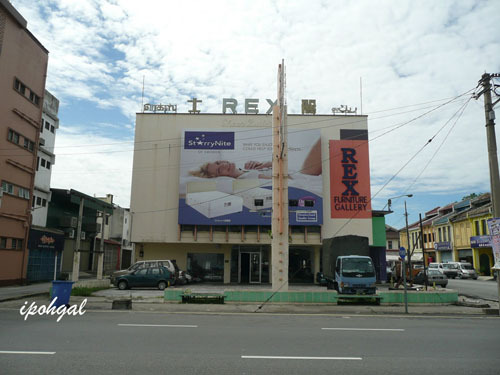 Hi Ipohgal, yes, side of Rex Cinema is Hume Street. I agree with u that Hume Street is one of the streets that maintains many traditional trades & we shall preserve it. The crossing drain block of the barber shop i mentioned earlier still maintain the 2 small steps on the slope……. One more thing, at junction with Chamberlain Road, opposite to the side of Rex Cinema, “Kum Ah” coffee shop was my family’s favorite. I remember prawn noodle there was tasty & famous. 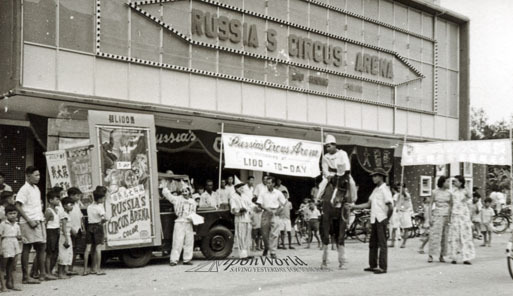 Oh, suddenly the scenes of the old days all come into mind like a movie……. When grandpa or i was cutting hair, i always heard old radio playing songs in mono mode from neighbouring shops. Later during my secondary school time, we went for movie & park the bicycle/motorcycle at the shop behind Rex Cinema, but i forget how much they charged. Yes IG, I can confirm that the old man regularly does ear waxing. I did it only once as a kid and didn’t really like it. Too….. geelee? What’s the word? I prefered the indian barber directly across. A haircut costs 80 cents for a kid in 1980. Yes I do remember the small space below the wooden staircase. In 78 I was staying along Hugh Lwo. The small space under the staircase is the personal quarters of the caretaker of the mahjong parlour. Gordy, I can’t remember the zinc shed corner lot opposite the mosque being a pet house or whatever, but as of the early 90’s it was a coffee shop/stall selling noodles. Hi Ipohgal, yes, thats the shop. May be i remember wrongly about the partition, but am very sure the 2nd from corner (Foto Bina) is the one i mentioned. Anyway, i dont know whether the “lang cheh lou” were staying there or not. thanks for the walk down Hume Street, Ipohgal! I’ve learnt so many things about that street now – things I never even knew! Really pity what is Ipoh now! 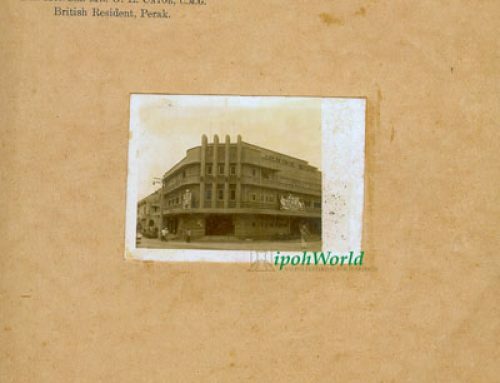 When you mention about Ipoh, you have to tell whether new Ipoh or old Ipoh. Yes it’s true,you hardly can see what is old Ipoh now. “WHERE HAVE ALL THE PRETTY IPOH GIRLS GONE”? Do most of them really have been married out ? 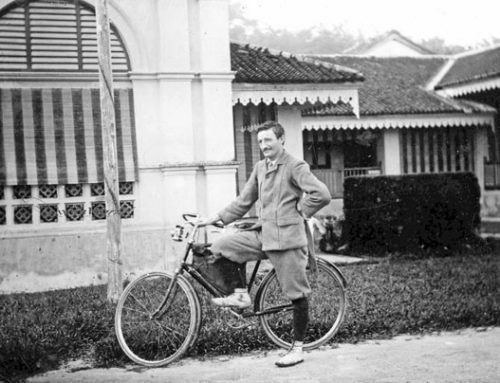 has to put it to history book..
Hi KLboy,yes, it is a real pity that Ipoh has lost much of it’s old world charm and heritage. Other towns like Penang, KL and Malacca suffered the same fate too. Many historical sites as well as the way of life were replaced by modern buildings and modern lifestyles.Things are definately not the same anymore now compared to the past. Where have all the pretty Ipoh girls gone? I think they were here, there and everywhere, conquering the world with their charms and wits. Hi KLboy, I am not sure whether they still sell “ngau lam meen” or beef noodles at Hup Kee at Hume Street but I am very sure the shops that sells canvas covering are still doing business there. 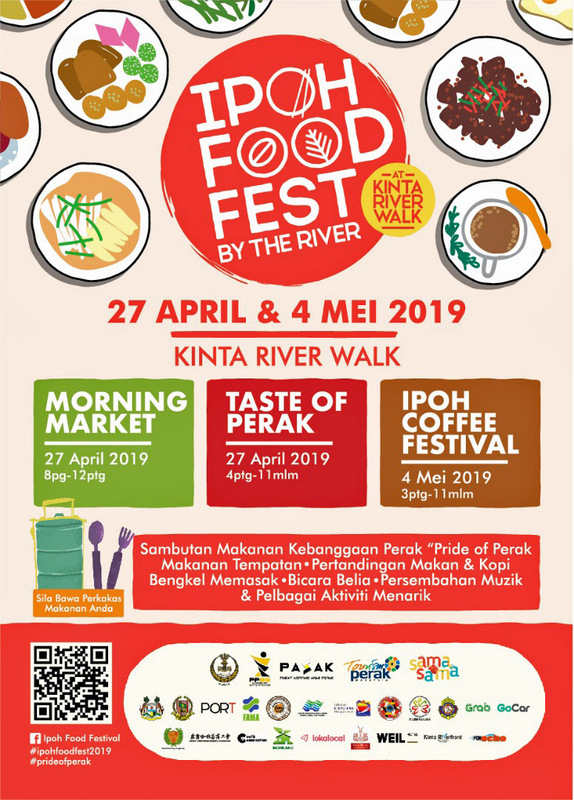 If you go to Ipoh for leisure or business, remember to check it out and let me know, ok? By the way, the renaming exercise is not only confine to roads but to some mission schools too. To make us more patriotic, they said! I think it was a pathetic and flimsy excuse too! agree with you there, Ipohgal! “Hai O” is still there. But my memory on that building is more on “Beauty” supermarket. 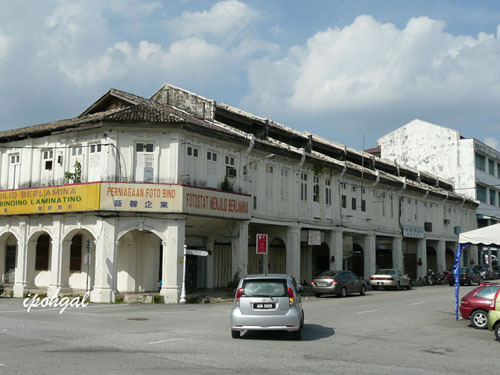 Once a popular supermarket in Ipoh but finally lost to Super Kinta, same fate as “Angel”. Anyway, no one at the time could imagine the fall of Super Kinta few decades later. Yes, the British names are faded away from our map…..what’s the point? We have plenty of new roads around can be named after locals. Anyway, i am not sure “Silibin” is a British name. If yes, Silibin Road probably is the last that carries a British name. Is the road name still remain ? Ipohgal, is that true ? “Hume Street, the center of casket shops”. also called ‘Koon Choy Kai’ in cantonese ? Yes, Hume Street is also called “Koon Choy Kai” in Cantonese, meaning coffin Street. There were several coffin shops along this street. Maybe they were there because of the few funeral parlours operating along this street too, for the convenience of the bereaved family. They were there for some decades already. The reason why they did not use the meter was because they have no licences. 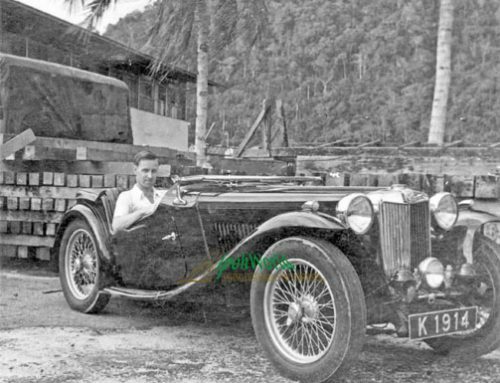 They were known as ‘kereta sapu’. They will wait in front of the Rex cinema beside the Beauty supermarket for the show goers and near the bus stand (beside the coffee shop) for those impatient customers. They do not exists now due to govt enforcement. Hi Old timer, thanks for this piece of info on the taxis infront of Hai O and Rex Cinema. If I remember correctly, not only the ‘kereta sapu’ do not use meter but those licensed ones too! It is getting more difficult to get a taxi in Ipoh now. It has been a few years since I last boarded one. I wonder if they use meter now or still stick to the old way? 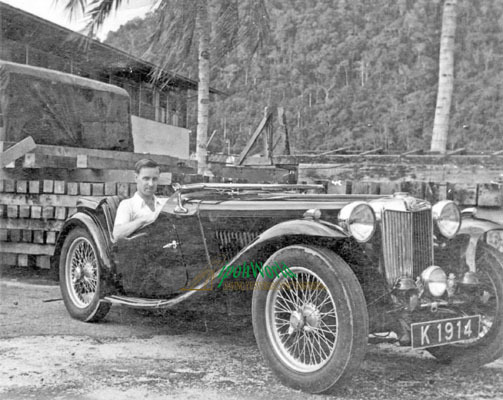 Old Timer,Ipohgal,Sadly to say KL is not exempted from this bad image.Huh…although KL taxi’s all with meter, but sometimes you might face some problem with some “rowdy” driver.Even a taxi driver told me once, that there are over 12 ~ 13,000 taxi’s in Kuala Lumpur. They all have meters,sometimes not in used so before you hop into a taxi, you better check and deal about the fare.It’s already a social sickness in KL. Hi Elaine. what a nice story you shared with us! thank you so much; I never knew we had our own Elvis look-alike….who not only sang but had great frying skills! Elaine, thnk you so much for these memories you are bringing the old streets and shops alive. I look forward to more of the same! Good to hear that Elaine. 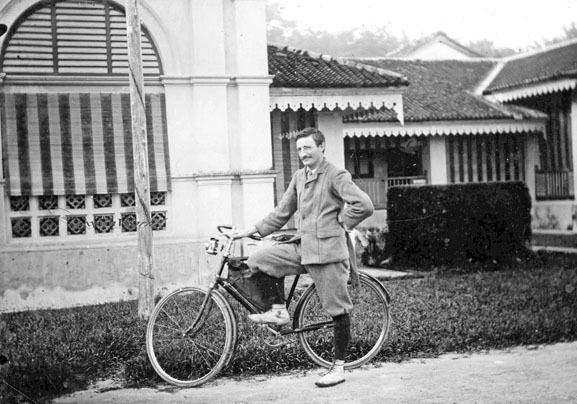 We look forward to the teenager writing about her life in Ipoh. Agreed with you that Hume Street is indeed the last point in the journey of many Ipohites, therefore it was a special place! 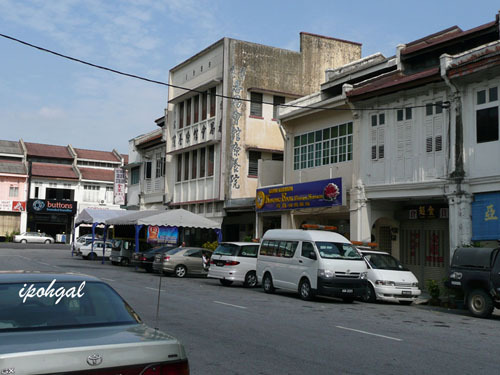 Greetings friends of Ipoh, my memories of Hume Street dates back over 50 years. My late maternal grandma Madam Wong often visited her late elder brother who resided in Hume Street and ran a Chinese School where Chinese Classics was taught. The sound of pupils reciting passages from the text still ring in my ears! I also knew the sisters of Ooi Leng Dressmakers (formerly in Jalan Yang Kalsom). Hi Y C, the SDA Church is no longer there. The English and Chinese Church are at Jalan Tambun opposite Heritage Hotel. 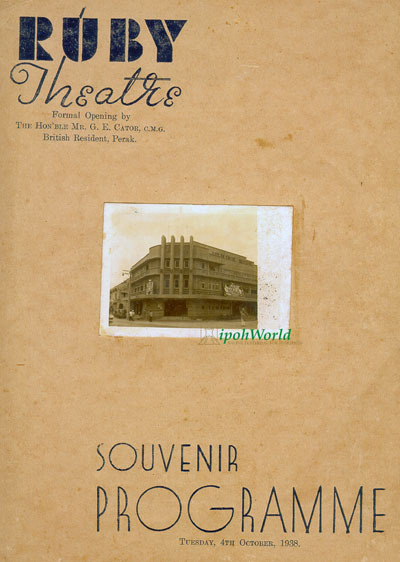 Seems like you have not been to Ipoh for a looong time! So Y C, when will you be back in Ipoh?